October 21, 2014 (La Mesa) – How prepared is East County's major hospital to handle an Ebola patient? 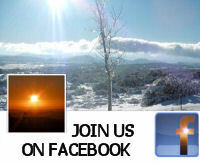 We contacted Grossmont Hospital to find out. Although the risk of this occurring here is considered low by experts, errors in a Dallas hospital's handling of an Ebola patient pointed out the importance of proper planning. 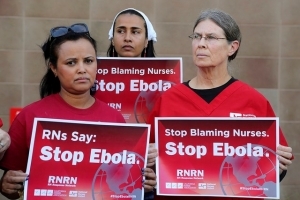 Moreover, a survey published last week by National Nurses United revealed that 85 percent of hospitals had reportedly not provided any training for nurses on Ebola and most are short on equipment for handling a patient with the infectious disease that kills 70% of victims. 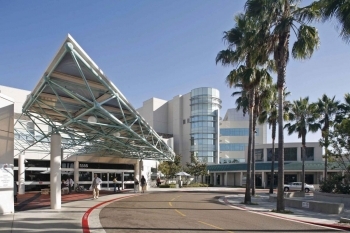 We sent a detailed list of questions to Sharp Grossmont Hospital’s director of marketing and communications, Bruce Hartman, on topics such as training and protective equipment for healthcare workers, whether patients are asked about their travel histories, and plans for sanitizing areas where an Ebola patient might have been waiting or treated. He responded with this detailed statement, followed by answers to our questions below. October 14, 2014 (San Diego’s East County) -- Ever wonder what news stories attract the most interest among our local readers? We decided to find out, so we looked at the number of readers who clicked open each story for the past month. The results were surprising. Some major news stories, such as Iraq air strikes, didn’t make the top 20-perhaps because that’s news available everywhere else. What DID get your attention was primarily stories relevant to East County, especially news that you can’t get anywhere else. October 2, 2014 (Dallas)--The first case of Ebola diagnosed in the U.S. occurred this week in Texas, where the patient was initially sent home from a hospital. A search is underway for about 100 people in the Dallas area who may have been exposed to the Ebola patient, who had traveled here from Liberia. Dallas officials sent a reverse emergency call to 11,000 area residents to warn them about the situation, including parents at four schools where several exposed children attended class. Four family members have now been placed in quarantine: http://abcnews.go.com/Health/texas-Ebola-patients-contacts-now-reach-100/story?id=25912405 United Airlines has also contacted patients who were onboard the flight, though it is not believed the patient was contagious yet while on board. 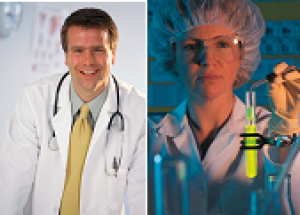 August 30, 2014 (San Diego’s East County)-- Our Health and Science Highlights provide cutting edge news that could impact your health and our future. 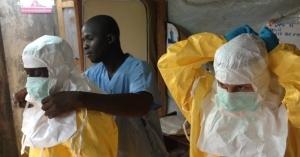 August 5, 2014 (San Diego)--An ebola outbreak has killed nearly 900 people in West Africa and stricken more than 1,600. Left untreated, about 90% of patients with the ebola virus have died – and until recently, there was no known treatment or cure.